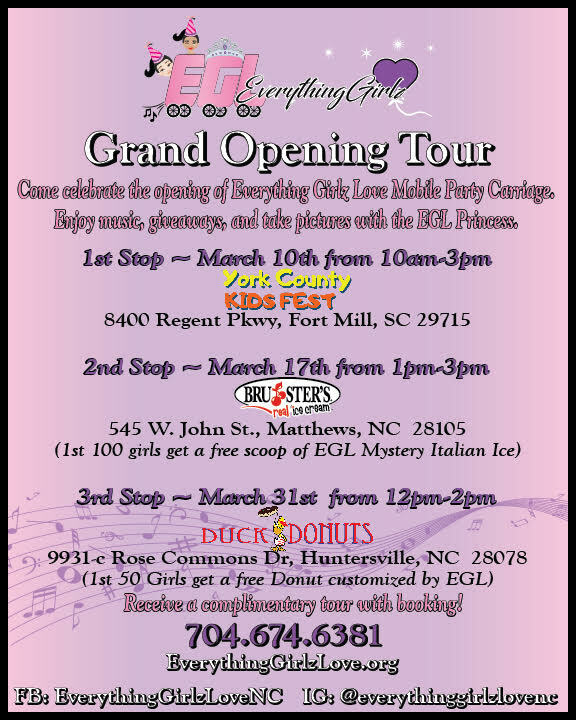 Smarties, Everything Girlz Love is a new little girls party business that’s rolling into town and we think it is Super SMARTY! 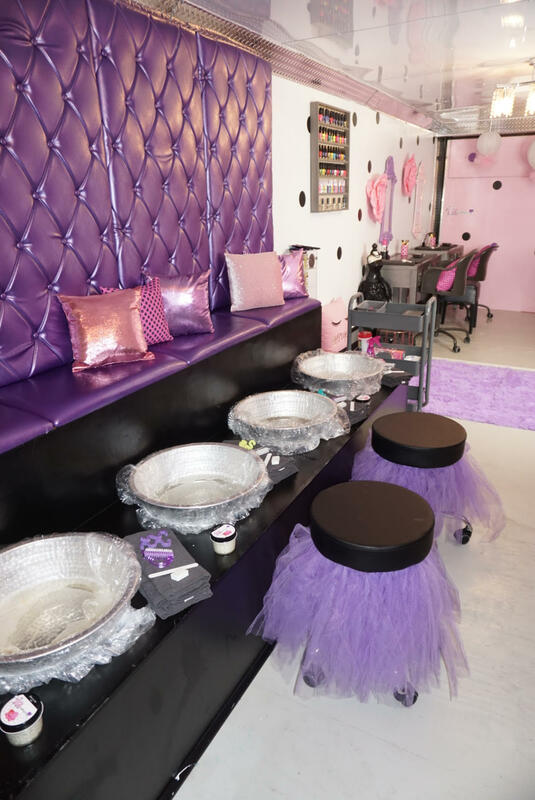 Everything Girlz Love is a 31ft mobile party carriage that brings the ultimate party experience to your door! ~ Dessert bar and SO MUCH MORE! 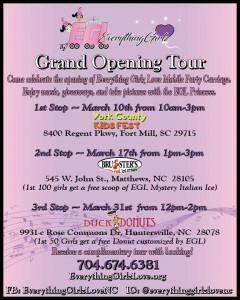 Everything Girlz Love services Charlotte and surrounding areas for girls ages 4 & up. They offer parties and play dates with a variety of services that make every EGL experience a memorable one. No detail is missed! Be sure to check them out during their Grand Opening Tour. Mark you calendars, their first stop starts this weekend. Smarties, this is not your average party bus! Everything Girlz Love is an experience that your little smarty will never forget! Smarty Giveaway: Win a FREE week of camp at YMCA Camp Harrison, an $1,100 value!